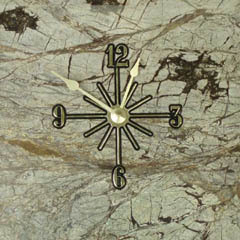 Natural stone has a power which comes not only from the inherent weight of its presence, but also from its birth which occurred deep within the belly of a towering mountain range. 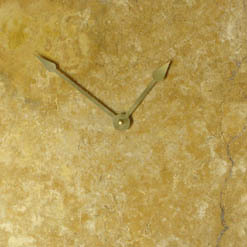 Below you will find a unique collection of timepieces, made from a variety of natural stones. Varying wildly in shape and size, they each have a one of a kind beauty that gives them an individual personality. 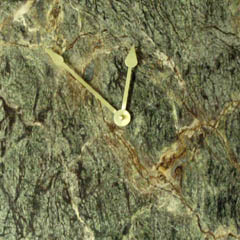 The Green Gold stone mantel clocks are visions of shimmering silver touched by subtle hues of green and gold which alight gently upon their faces, creating an extremely complex interplay of hues and tones which washes dreamily across the surface of these attractive timepieces. A tantalizing swirl of dispirate colors moving in hazy shimmering clouds and bursts which contend wildly with one another for dominance over the surface facade of these powerful and stately timepieces. 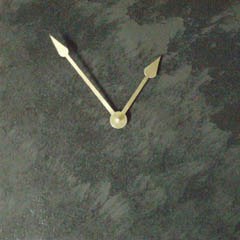 Hand crafted from exotic chinese mountain stone. Lines of blazing red and amber slice across the complex earthen surface of these stone pieces, creating a vision of the setting sun, its rosy fingers dashing out to caress the crescent of the brow of the earth. 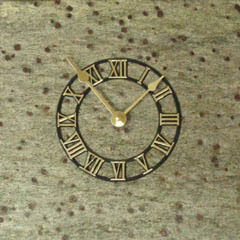 A jungle, a deep forest, a woodland scene of trees and bushes, boughs and leaves, which crackle erratically across the surface of these marvelous timepieces. 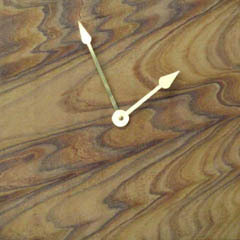 And yet its neither wood nor brush but stone, brilliant shimmering marble, that makes up the face of these attractive timepieces. 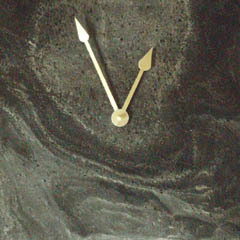 A unique work of art, browns and brown tones, tans and camel colors, all swirling and flowing astride one another, creating an eclectic mix which was penned by the hand of nature herself, captured within the surface of stone, and then polished to enhance the beauty of the effects. 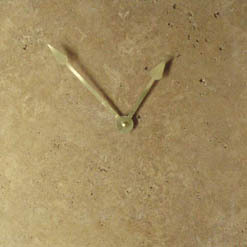 A brilliant collection of hues and tones, soft pastels, dainty pinks, deep blues and golden touches, all swirl in waves of caressing hue which sift across the surface of the stony faced clocks seen here, creating an uplifting and attractive energy which will invigorate any room into which it is placed. 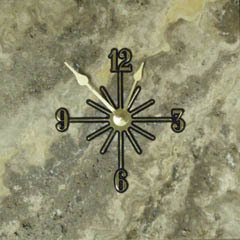 Soft green tones of earthen beauty are enhanced by stripes of golden yellow hues, which gives the surface of these attractive stone pieces an enhanced appearance, as if the stone itself is glowing slightly, and yet, within the stoic surface of the powerful clock face, there is a timeless quality, which stands against the test of time. 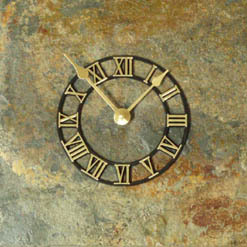 Brilliant explosions of golden hue sever the perfect stoic night of midnight ink, creating a cataclysm of contrasting tones, a violent maelstrom of color which washes across the face of these mantel clocks with a force that will be felt in the surrounding environment. 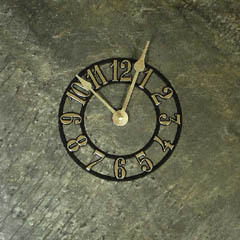 A brilliant wash of rusty red tones alighting upon gentle purple hues, to create a regal and impressive surface for the face of these decorative mantel clocks. Powerful and refined, and yet connected with the earth in an intimate way, allowing you to bring the beauty of nature into your home. 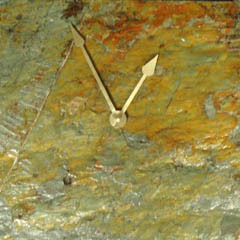 An aquatic wash of maritime colors, greens mixing with gold, amber blushes alighting atop golden bursts, all existing against a backdrop of gentle green tones, to form a clock which almost seems to move in gentle waves, almost seems to actually wash with the lapping hands of the ocean, and yet this momentous scene is captured beneath an unchanging surface of stone. 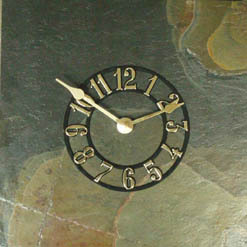 This clock is a subdued landscape of dark black tones, broken by gentle glowing golden waves and clouds, which contrast sharply with the backdrop, creating an energy which is subtle in the soft wash face of these stone clocks. 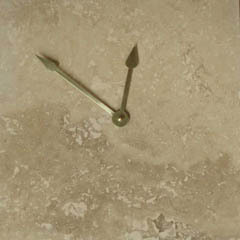 A subdued surface of natural stone, adobe tan colors combining to create a surface which is contrasted only mildly, enhanced by slightly graded textural visions of crenellations which create interest across its stoic surface. A vision of brilliant shining happy hues, glorious tones beaming out at you as if you are looking into the face of a mountain born sunflower. 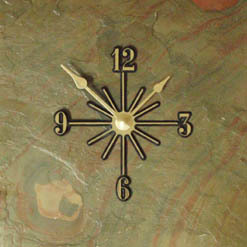 A little burst of light and color which will brighten any mantel that it is placed upon. Shimmering silver tones wash over a dark charcoal backdrop, to create a contrasting gray pattern, which has the appearance of shimmering silver sand, broken by stormy waterways which cut through its glinting surface. Every single piece of stone we use is a mountain born creation of nature itself, a piece of the real outdoor world which you can bring into your home, lending the space the stoic power of a towering mountain range. A million midnight hues alight across the stormy face of this brooding mantel clock, dark and foreboding, and yet, within that stern countenance is a crackling energy, a strength which it gains from the mountain born heritage that the stone can boast of. 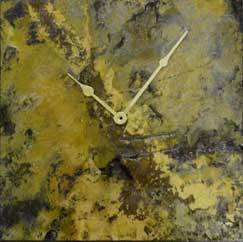 Our mantel clocks are crafted using real pieces of natural mountain born stone. 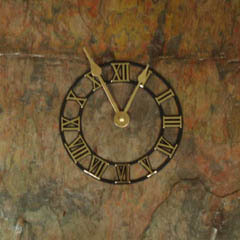 This means that each clock is slightly different, with its own unique features, colors, and even personality beaming out at you from the mantel that you set it on. 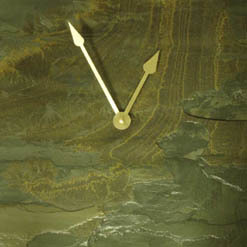 Our mantel clocks are crafted using real pieces of natural stone, coupled with a hardwood black display panel, which holds up the mountain born beauty of the emblematic face, allowing everyone to bask in the energy of these natural wonders.